Surface Mold | Homewatch Services Etc. This past summer and early fall, we encountered “surface mold” in some of the properties we do homewatch for. Many people think it cannot happen to them. Let’s face it…nothing has ever happened to your home before, so nothing will happen to it again this year…right? WRONG! When conditions are right…mold grows and can spread very quickly! Let me first start out by saying, I am NOT a mold expert at all. So you are not going to hear a bunch of large scientific words coming from me. However, in my line of work, I am in a position that affords me the opportunity to speak with many state licensed mold remediators, home inspectors, HVAC techs, etc. So I ask questions, listen, and learn from them. Molds are fungi and no one really knows how many species of fungi exist, but there is estimated to be over 300,000 species of it. Of those, there are 4 common indoor molds (Cladosporium, Penicillium, Alternaria, and Aspergillus). Mold grows best in warm, damp, and humid conditions, and spread and reproduce by making spores. So our tropical summer Florida weather is a perfect environment for mold growth. Did you know that we all have mold in our homes here in Florida? It’s true. It becomes an issue when the mold count/levels in a home exceed what is “considered” normal and when the relative humidity in a home is elevated. Typically the increased relative humidity level is caused by the introduction of moisture due to a ceiling leak, leaking pipe, etc. Other times it could be caused by the HVAC system malfunctioning and not properly drawing out the moisture from the air in your home. When all conditions are right…the mold spores start looking for food. Typically they attack natural fibers first. 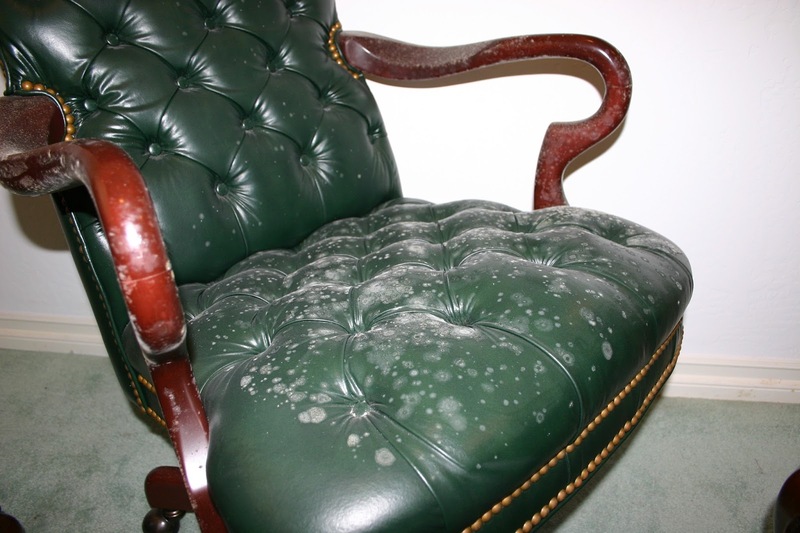 That is why the first signs of surface mold are seen on leather sofas, wood furniture, woven wicker furnishings, and even on carpet. Yes…carpet. When you walk barefoot on your carpet, you drop dead skin cells and rub skin oils onto your carpet and that becomes a food source for mold as well. We know that the potential for mold to grow and spread is something that affects us all. So how do we prevent a mold issue in our homes? I wanted to share with you a few experiences I’ve had so you can be better prepared, and then I’m going to offer a few suggestions. Incident 1: A condo in Bonita Springs experienced surface mold all over the leather sofas, wooden dining, living, and bedroom furniture, the closet doors, lamp shades, clothing, shoes, etc. This was caused by the condo “flash cooling”. The AC air handler that an AC company installed was too large for the square footage of the condo and they had removed the humidistat. Since the unit was too powerful, it would cool the condo down too quickly. The problem with it was that because the condo stayed cold, it didn’t have a need to turn on, and if the AC unit doesn’t cycle back on on a regular basis, it does not properly remove the moisture out of the air. So basically the condo stayed cold, but the relative humidity in the condo got way too high. That moisture allowed the mold spores in the condo to feed on any organic material and spread throughout the entire condo very quickly. This is why I recommend having an HVAC professional make sure you have the proper ratio of AC tonnage to interior square footage and also having a Wi-Fi capable thermostat-humidistat combo that you can monitor remotely from back home. Incident 2: A condo in Naples experienced surface mold on the it’s wooden dining table, chairs, the exterior part of the refrigerator doors, etc. This was caused by the separate humidistat on the wall that wasn’t working properly in correlation with the thermostat. This is why I recommend considering getting a Wi-Fi capable thermostat-humidistat combo that you can monitor remotely from back home. Incident 3: A condo in Naples experienced surface mold on their all their leather recliners, dining furniture set, desktop, TV, etc. This was caused by the fan motor in the outside AC unit malfunctioning and the AC not properly removing the moisture from the air in the inside of this condo unit. This is why I recommend considering getting a Wi-Fi capable thermostat-humidistat combo that you can monitor remotely from back home. Many of you are occupying your Florida home now, so NOW is the time to make changes and prevent a potential future mold issue in your vacant property. 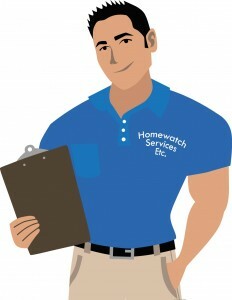 • Have your HVAC system serviced and your AC drains lines cleaned twice a year (May & November). • Ask your HVAC company to make sure that you have the correct size AC unit for the square footage you are trying to cool. Remember that bigger doesn’t always mean better in this situation. • When you leave, set your thermostat to no higher than 78° and your humidistat to 50%. Mold can start growing with a relative humidity as low as 55%. • Leave a couple ceiling fans running on low. That way if your AC fails, you will still have some sort of air circulating in your home. • Consider getting a Wi-Fi capable thermostat-humidistat combo that you can monitor remotely from back home. 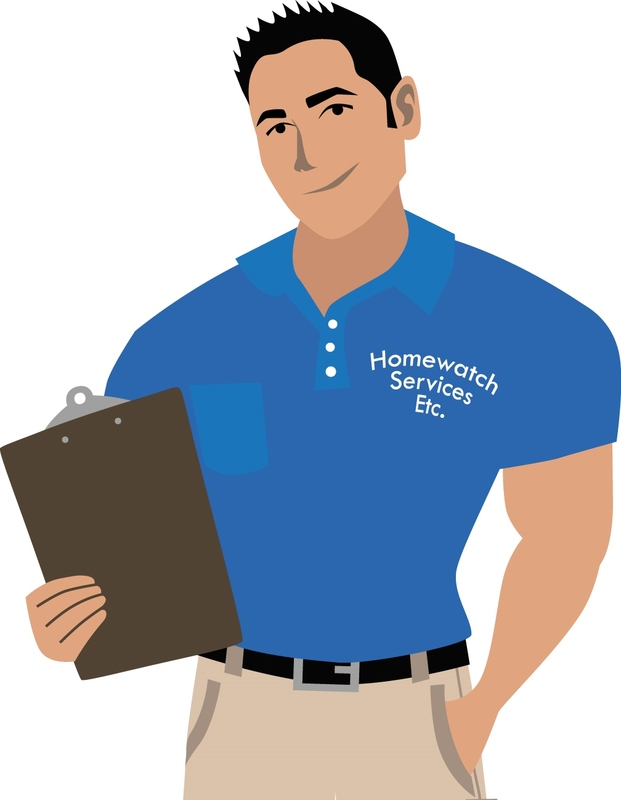 • Have your homewatch company visit your home a minimum of every 2 weeks. One visit per month is not recommended. A lot can happen in a vacant home in 30 days. If you are looking for a local licensed and insured Air Conditioning company, let me know and I’ll be happy to refer you to one of our Preferred HVAC Vendors. * Please note the information above are suggestions based on HWSE experiences. Each homeowner is encouraged to maintain their home as they see fit, based on their own experiences.